Depends on which route or boulder problem you get on! Prices start at $15 for a day pass, with monthly passes at $100, and memberships are also available (the option for $75/month, plus $100 initiation fee, is the most popular). It’s no secret that the Bay Area is a climbing mecca, and rock hounds of all levels can take their pick of places to hone their skills, from urban bouldering spots to the granite paradise of Yosemite National Park. In addition to those outdoor destinations, local climbers are also lucky to have one of the country’s premier climbing companies, Touchstone Climbing, in their backyard. Touchstone has nine facilities throughout California, six of which are located in the Bay Area (and Sacramento). 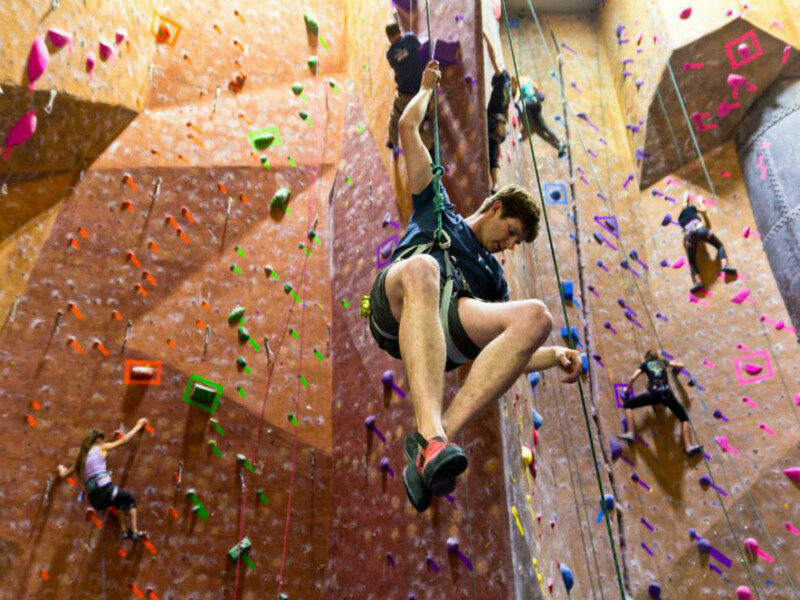 From enthusiastic newbies to lifelong climbers, vertical adventurers of all stripes will find climbing nirvana at these world-class centers, which feature a combined 122,000 square feet of climbing terrain, 500 routes, and 700 boulder problems, along with additional classes like spinning and yoga for a well-rounded workout. The professional-level quality of the facilities, the commitment from management to quality and safety, the chance that a climbing superstar like Alex Honnold or Hans Florine (who together set the speed record on El Cap in 2012; Florine is also manager of the Diablo Rock location) just might stop in—there are almost as many reasons to love Touchstone as there are routes to conquer inside. 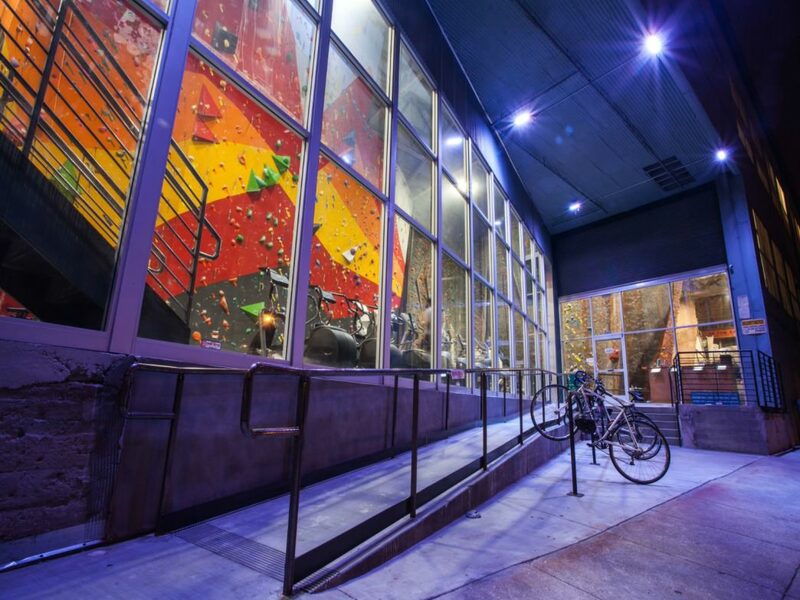 Over the years, Touchstone has set the bar on what a climbing gym should be. It all started in 2005 with the opening of Mission Cliffs in the Mission District of San Francisco; within a month of its opening, the facility hosted the sport climbing National Championship competition, introducing the climbing set to what was championed as the most spectacular facility in the world. Since then, Touchstone has added eight more facilities to its roster, including Dogpatch Boulders in SF, the country’s largest bouldering gym. 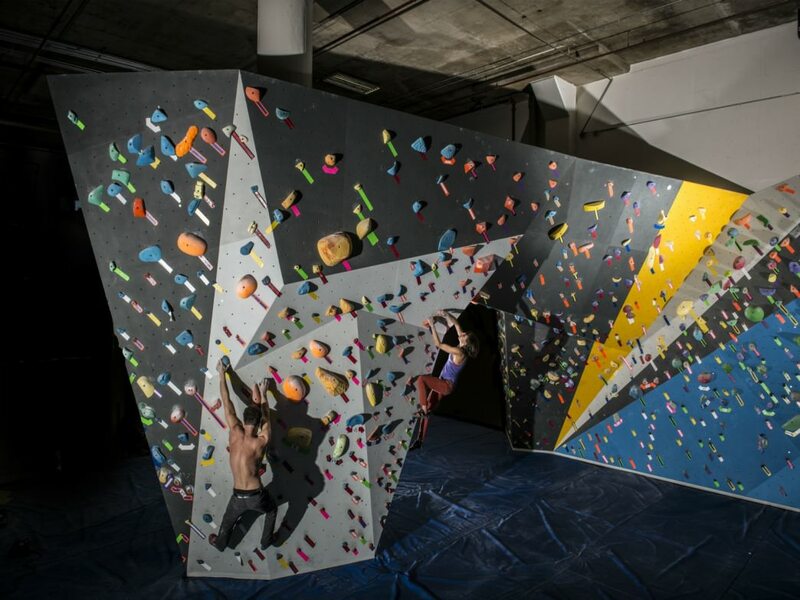 In 2013, 5,000 square feet of new roped climbing terrain was added to the Mission Cliffs location, as plus a new fitness studio and weight room. Simply put, anyone who walks into any of Touchstone’s facilities, whether they’re climbers or not, is sure to be awed by the sheer, well, awesomeness of them. Depending on when you go, they seem to reverberate the energy and effort of climbing, with walls soaring nearly 50 feet into the sky, studded with colorful holds and the determined athletes making their way up them. Touchstone welcomes all levels of climbing enthusiasts, whether you have no idea what a belay is or have a slew of sponsors, and everyone in between. In addition, most facilities offer additional classes like yoga and spinning that offer complementary workouts to hours spent scaling walls. With two locations in San Francisco and several more across the Bay Area, you’ll easy access to world-class indoor climbing. Beginners can also rent gear, and an intro class is highly recommended; a belay test is required for newcomers who plan on belaying.